The following is the text version of the video above. It will help speed up your process when recording guitar, specifically acoustic, in your home studios. Of course, there’s a million variations when doing this type of recording (type of mics, mic placement, type of song, type of guitar etc), but this tip we’re talking about today is a good choice to have when considering how you’ll be approaching certain songs. Record direct or with a mic? Try both at the same time. Focusrite Scarlett 2I2 Usb Audio Interface that we like in the Easy Home Recording Blueprint. But the direct signal from an acoustic guitar unfortunately defeats all the resonance from all the lovely wood and body of your acoustic guitar. But… when you add a miked acoustic to the direct signal, well now you’ve got something you can sink your teeth into during the mixing part of your project. So, as you saw in the video above, the goal here is to end up with two recorded guitar tracks except it’s from a single performance. So this is not really about doubling the guitar, which is a totally cool thing to do sometimes. This is more about creating a stereo recording of a single guitar. The track on your recording software with the direct recording of the acoustic will now serve the purpose of adding depth and sonic complexity to your miked track. That mid-range quack of the direct signal, when blended just behind the miked track adds like a kind of sonic spackle and fills out the more organic miked signal. The miked track, as nice as it is to hear the real instrument on track, it tends to also have quite a bit of pick and strumming noise, which can lead the listener’s ear away from the actual warmth of the instrument. The direct signal has almost no pick and scratch noise, so the notes within the various chords are right there. When blended in with the miked track, well that’s what I mean when I say sonic spackle. Fills everything out nicely. What I like to do is pan the direct signal pretty far left (or right depending on the other instruments’ positions in the mix) and then add some reverb to the direct recorded track as well. I don’t add any reverb to the miked acoustic guitar track and I run the panning knob pretty well down the center. I mix the direct track just beneath the miked track so the direct recorded track is not obvious and its reverb is really only a feeling and also not obvious – just adds depth, color and complexity to the single guitar sound the listener is consciously perceiving. That’s pretty much it and there’s plenty of room in this scenario for you to experiment. All of you who know me have probably picked up on the fact that I don’t talk about stuff if I’m not personally interested or impressed with it. 1. That said, have you guys had a chance to check out the Writing Better Songs (“Techniques From the Hits”) material from Anthony Cesari I posted about? The more Recording Blueprint members have used his stuff, the more they’ve been blown away with how in depth and useful it is in polishing their songwriting. I really think you should all download his free stuff right away and then seriously consider getting his full guides and vast array of bonus material. Love it. Get access to his videos free here and go from there. Now… the information here is as close to “must-know” as you can get. 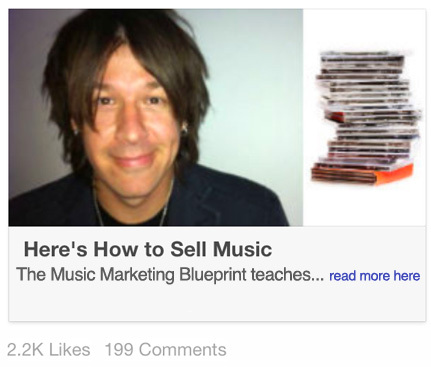 The MMM videos (here) take you very clearly and give you a real, actionable method of turning “listeners” into actual “buyers” of your music – using the techniques that indie songwriters and bands are going to have to become familiar with. It is a real way forward for thriving in the new music industry and it’s important stuff. You can watch the MMM Video free here..
3. I also have been having fun with the free DM1 drum program for the iPhone. It’s made by a cool company called Fingerlab. You can download it from the iPhone App Store.